For many, deciding on what to wear to an event or even to work is a difficult task, and it certainly doesn’t get any easier when attending a casino themed party or fundraiser. Many have asked what to wear, and even more have asked what not to wear. Fortunately, I’m here to guide you so that you can place your bets in style – and avoid anyone pointing staring or even giggling behind your poorly dressed back. Let’s take a look at some of the most popular casino parties, and what you’re expected to wear or stay away from with each. If you’ve been invited to a corporate casino party, then you’ll finally have an excuse to break out your fancy attire and bedazzle all those attending. The dress codes at these kinds of events generally range from business casual to business, though I would always suggest going for business to avoid being even slightly under dressed. 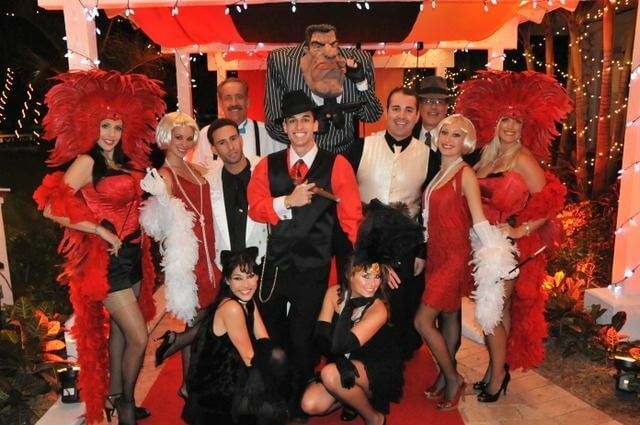 A popular theme for fundraisers, casino parties often get people in the mood for spending. However, unlike when playing at Canadian mobile casinos you will have to get fairly dressed up. When attending a black tie casino fundraiser, dressing to the nines is expected and dressing to dazzle is encouraged, which means no sandals, shorts or t-shirts. Men, whip out your best tuxedo and women, bring out your best dress and jewellery. Mardi Gras has to be one of the most festive events the world has ever seen, with people losing their inhibitions every February. This is exactly why so many people choose it as a theme for their casino party. Here, you can have a little fun with your outfit, and I certainly wouldn’t suggest wearing a suit. The best thing to wear to a Mardi Gras themed casino party is, of course, beads as well as mask and anything green and purple. In case you haven’t seen a James Bond film, a Monte Carlo casino party is one for high rollers – or at least those that dress like high rollers. When attending one of these opulent parties, you’ll need to dress the part and stay away from anything casual. This ultimately means that the dress code is similar to that of a black tie casino party, but you can add a little bit more glamour. That means tailored suits that boast cuff links and some dazzling, sparkly gowns that look as though they’re fit for royalty. The Queen of Hearts theme comes from the ever-popular Alice in Wonderland, with the character leading a horde of playing cards.